When older people come in to see us at our Dental Implant Services Orange County facility, we always tell them that it’s perfectly natural that the health of your original teeth start to go downward as you get older. It doesn’t even matter if you practice a perfect oral hygiene routine for decades. It’s simply a fact as you get older your teeth will start to decay. That’s why considering Dental Implant Services Orange County is the obvious choice. Losing your natural teeth doesn’t have to be an overwhelming problem. It doesn’t need to affect your self-image or your enjoyment of the foods you love. A dental implant will help you enjoy your golden years. Here’s how. One of the things that we like to tell all of our clients is this solution is permanent. 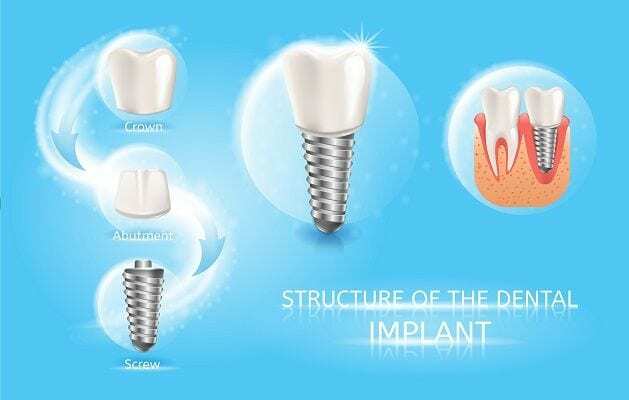 The Dental Implant Services Orange County you place start with the titanium screw that’s placed inside your jaw. Once that affixes to the bone, we can place an artificial tooth called a crown that looks just as pleasing as the real thing. If you have lost one or two through decay, a dental implant is the perfect solution. It is designed to fill any gaps between your teeth with an artificial tooth that is indistinguishable from the real thing. We offer dental implants for a variety of very good reasons. Top of the list is these allow you to perfect your smile and boost your self-confidence. As a senior, we understand that you might have certain other medical conditions that can put a headwind on your otherwise positive attitude towards life. We want to be sure that you don’t keep a frown on your face because of a missing tooth. We’ve been doing this procedure for years and understand that one of the biggest issue seniors might face is decaying teeth. Why not look us up today so we can tell you more about our Dental Implant Services Orange County? Next PostWe Offer Treatment for TMJ Disorders Orange County and Cold/Flu Tips TOO!